Show that your home has style this Christmas with lovely outdoor decorations. Outdoor Christmas decorations on front doors, walkways and even banisters can add just the right amount of spirit, cheer and flair on the outside of your home. Exterior decorations can also lighten up your entire neighborhood. 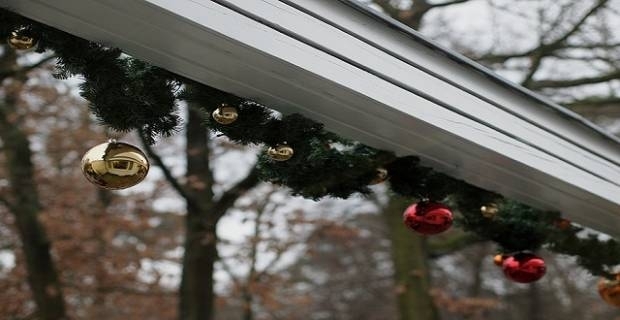 Consider these three simple and fun outdoor Christmas decorations ideas 2013 for some inspiration. The most common external Christmas decorations idea used on front doors is to accent white doors with deep green colours of a fresh (or dry) wreath and garland. Twinkling lights are added to give a soft glow at night, while red ribbons tied on the wreath complete the overall Christmas look and feel. Forget going 'green’ with wreaths and garlands this time round. Go red instead! Accentuate your front door with the lush fullness of a handmade, vibrant red wreath and garland. The colour red gives a bold, graphic punch that's quite attractive. It whips a distinctive, fresh air of creativity on your front door. This color also tends to announces loudly to everyone that Christmas is with us again. Feeling creative already? Good. Use florist wire to embellish a basic red wreath with berries, limes and feathery stems. Bring the stars down to earth on your banisters and walkways with lovely starry string lights this Christmas. Starry string lights are strung on copper or silver wire which makes them easy to mould into any shape you desire for decorations. Drape the lights on arches, banisters and/or poles on your walkways to give your home exterior that festive Christmas glow. For unique Christmas decorations ideas 2013, run colourful garland from one arch to the next and use programmable LED lights that change colours. 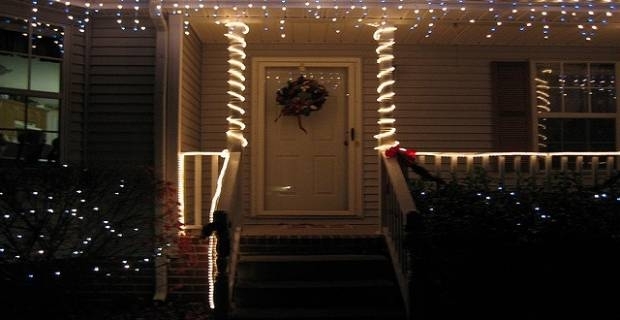 Program your LED lights will allow you to create beautiful glowing designs that give your front walkway a beautiful and unique Christmas twinkle. Most people put different kinds of Christmas decorations outdoor and Santa in his sleigh along with the reindeer in their front yard. One of the best Christmas decorations ideas for 2013 is to install Santa in his sleigh with the reindeer on the roof of your house near the chimney! This is a special sight to behold, which can add a little something extra to this year’s celebrations. Contact someone handy to help you do the job and make sure your safety is guaranteed throughout.